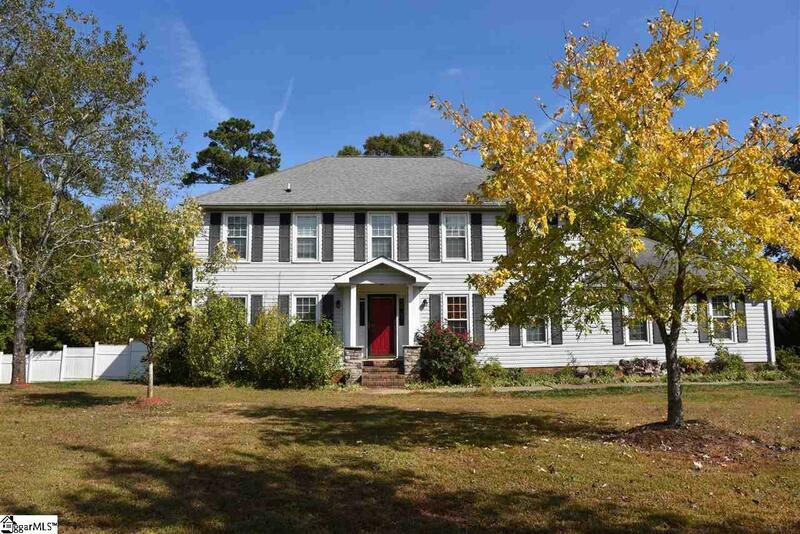 This charming colonial home sits on a 0.69 acre inside a desirable private lake community. It has so much character and personalities to offer. A large master bedroom suite with walk-in closet, 3 other bedrooms, a second full bath and a laundry room are on the upper level. Formal dining room, living room, kitchen, large eat-in kitchen, an office/study area, and a half bath are on the main level. Hardwood floor on main level. Large deck leads to the fenced backyard with fruit trees, and an in-ground pool. Oversized 2 car garage and attic add extra storage area. The upstairs HVAC unit was replaced in 2016, and downstairs unit in 2015. This house is being sold in as is condition. No repairs and no allowance paid by Seller. Great location. Residents have water and community boat ramp access. Make this wonderful place YOUR HOME!